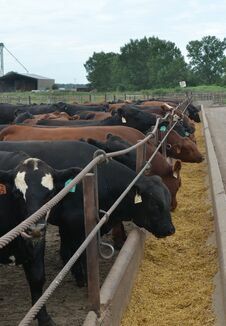 Beef packers are enjoying excellent profits this spring. Last week’s combination of lower cash cattle prices and higher beef cutout values helped push packer margins to $284 per head, or $161 better than the previous week. 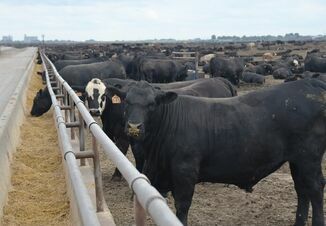 Feedyard margins slipped $72 per head to $20, according to the Sterling Beef Profit Tracker. Cash cattle prices declined $7.23 per cwt, with the 5-area average at $113.98. The cost of finishing a steer last week was calculated at $1,567, which is $151 higher than the $1,416 a year ago. The Beef and Pork Profit Trackers are calculated by Sterling Marketing Inc., Vale, Ore.
A month ago cattle feeders were earning $92 per head, while a year ago profits were calculated at $449 per head. Feeder cattle represent 74% of the cost of finishing a steer compared with 72% a year ago. Farrow-to-finish pork producers saw their margins improve $7 to a $16 per head profit. Lean carcass prices traded at $66.59 per cwt., a $3.79 per cwt. improvement from the previous week. A year ago pork producers earned an average of $31 per head. Pork packer margins declined $3 per head to $8. Cash prices for fed cattle are $20 per cwt. lower than the same week a year ago. Lean hog prices are about $7 per cwt. lower than last year. Sterling Marketing president John Nalivka projects cash profit margins for cow-calf producers in 2018 will average $115 per cow. That would be $43 per head less than the estimated average profit of $158 for 2017. Estimated average cow-calf margins were $173 in 2016, and $438 per cow in 2015. 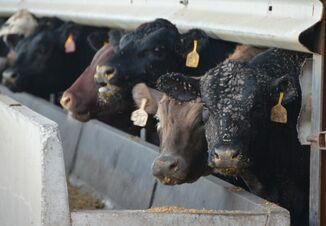 For feedyards, Nalivka projects an average profit of $51 per head in 2018, which would be $185 less than the average of $236 per head in 2017. Nalivka expects packer margins to average about $118 per head in 2018, up from $120 in 2017. For farrow to finish pork producers, Nalivka projects 2018 profit margins will average a loss of $1.25 per head, compared to profits of $21 in 2017. Pork packers are projected to earn $18 per head in 2018, down from $25 profit per head in 2017.